There’s more to explore than ever before at Busch Gardens Tampa Bay in 2019. 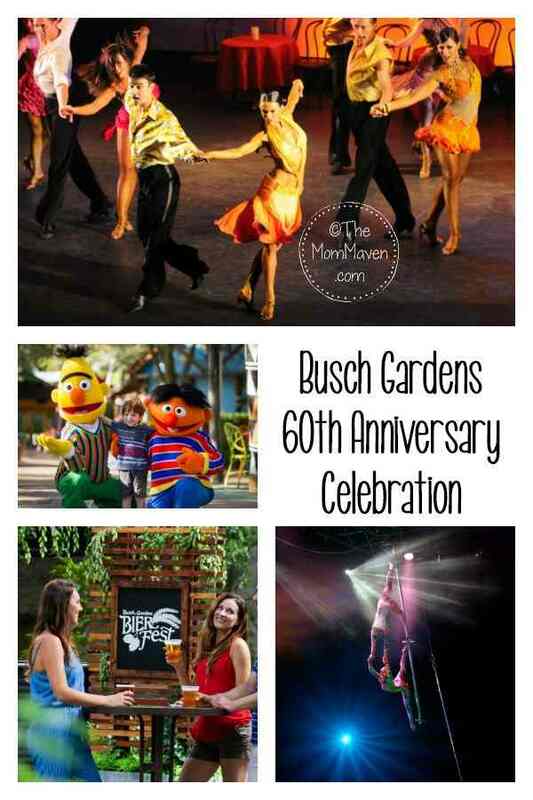 New this year, park guests can enjoy fan-favorite events EVERY week of 2019 as a part of Busch Gardens 60th Anniversary celebration. Guests can enjoy the celebration all year with great deals on park admission, including BOGO Fun Cards – purchase a Busch Gardens Fun Card and receive an Adventure Island Fun Card for FREE – and a FREE Preschool Card available for children age five and younger. Saturdays & Sundays February 2-10, May 4-19, and October 5-27-Families can enjoy seasonal fun with fan-favorite characters, including hands-on activities and specialty character meals each Saturday and Sunday during select times. Select Dates March 16 – April 28-The park’s most delicious event returns this March with tastes for every palate at the fifth annual Food & Wine Festival. Guests can sample delectable cuisines paired with a wide selection of wines, craft brews and specialty cocktails, while enjoying some of the biggest names in entertainment. Saturdays & Sundays May 11 & 12, Dec. 7 & 8-Meet Guy Harvey and learn about his dedication to conservation and his passion for marine wildlife. Bring your favorite gear for him to sign or purchase Guy Harvey paintings, merchandise and more. Autographs and photos will be available at select times throughout the day. Saturday & Sunday May 18 & 19-Join “Jungle Jack” Hanna for a weekend of wild animal shows, autograph signings and special meet-and-greets when he visits Busch Gardens. The internationally-known animal expert will share animal facts and his travel tales during animal shows. Each Night May 31 – August 11-As the sun goes down, the night comes alive at Busch Gardens Tampa Bay’s Summer Nights. The event features extended hours, endless energy and world-class coasters that light up the night. Join us for a Fourth of July firework celebration like no other during Summer Nights. Fall & Holiday Favorites, including: Bier Fest – a unique blend of food and favorite craft beers from around the world and local favorites; Howl-O-Scream*, celebrating 20 years this fall, there is nowhere to hide at Howl-O-Scream 2019; Christmas Town, with millions of twinkling lights and festive shows. Pay for Day, play ALL YEAR at 2 parks- For a limited time, guests can buy a 2019 Busch Gardens Fun Card and get an Adventure Island Fun Card free! Block out dates apply. MORE VALUE, MORE OPTIONS WITH ANNUAL PASS – Pick your way to play in 2019 with a Busch Gardens Annual Pass, starting at $10.99 a month for Florida Residents. Guests can select from four pass levels for the benefits they want most – including FREE parking, discounts on merchandise and food, as well as animal encounters – to gear up for a calendar full of special events plus EXCLUSIVE pass member ride time for the opening of Tigris: an exciting new attraction coming in 2019. Add more parks – Get a 4-park pass to Busch Gardens, Adventure Island, SeaWorld and Aquatica, starting at just $15.99 a month.